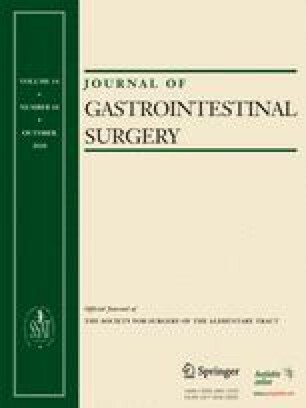 Increasingly, surgeons apply minimally invasive and parenchyma-sparing techniques to the management of pancreatic neuroendocrine tumor (PNET). The aim of this study was to evaluate the impact of these approaches on patient outcomes. We retrospectively collected data on patients with PNET and compared perioperative and pathologic variables. Survival was analyzed using the Kaplan–Meier method. Factors influencing survival were evaluated using a Cox proportional hazards model. One hundred thirty patients underwent resection for PNET. Traditional resections included 43 pancreaticoduodenectomies (PD), 38 open distal pancreatectomies (DP), and four total pancreatectomies. Minimally invasive and parenchyma-sparing resections included 25 laparoscopic DP, 11 central pancreatectomies, five enucleations, three partial pancreatectomies, and one laparoscopic-assisted PD. Compared to traditional resections, the minimally invasive and parenchyma-sparing resections had shorter hospital stays. By univariate analysis of neuroendocrine carcinoma, liver metastases and positive resection margins correlated with poor survival. There was an increase in minimally invasive or parenchyma-sparing resections over the study period with no differences in morbidity, mortality, or survival. In this series, there has been a significant increase in minimally invasive and parenchyma-sparing techniques for PNET. This shift did not increase morbidity or compromise survival. In addition, minimally invasive and parenchyma-sparing operations yielded shorter hospital stays. This manuscript was presented at the SSAT Annual Meeting in New Orleans, May 2010. This work was supported by the I.W. Foundation, The Doris Duke Charitable Foundation, and an institutional Ruth L. Kirschstein National Research Service Award (T32 HL 007854-14). Dr. Charles m. Vollmer (Boston, MA): Congratulations. I have really been impressed by the full breadth of your group’s work here this week. It’s been amazing. This is going to be one of the largest if not the largest and, may I say, a bodacious series on pancreatic neuroendocrine surgery. The primary point to take away after reading your paper on this, and you pointed this out, is that there is good fidelity with the newly developed staging systems. You also properly acknowledge that there are different biologies of the groups that you assessed and there probably is a bias in how the biology affects the outcome. Are there temporal process effects that can be affecting these outcomes? So many of these minimal-access operations and parenchymal-sparing operations are clustered in the recent time period from 2006 onward. In other words, is it an effect of the operation or the time frame in which this is going on? And can you compare head to head with the traditional operations in that time frame? The second question would be, are you actually mixing disparate concepts by clustering minimally invasive operations with parenchymal-sparing operations? I think these are two different theoretical paradigms conceptually. And I wonder if there are still outcome differences if you segregate those into three different groups in the entirety. The third question would be, for your parenchymal-sparing group, are you actually achieving the objective of endocrine and exocrine maintenance for that? The last question would be, what would you and your group do with a 0.8-cm, incidentally identified neuroendocrine tumor in the pancreatic head, which is totally asymptomatic, given the fact that these biologies are largely going to be on the low-grade end of the spectrum? What is your approach to this kind of scenario? Dr. John Allendorf: In terms of whether or not outcomes were a function of time, we have done a comparison of the early and late outcomes, and we found really no differences in those outcomes. But, as you point out, many more of the minimally invasive and parenchymal-sparing operations were done in our later experience. It’s a bit jarring when you first look at the presentation of the data to include these two very different surgical techniques. And that’s why, in the background, I took you through some of our previous work, where we looked specifically at distal pancreatectomies, open versus laparoscopic, and found a shorter length of stay and a lower morbidity. And we looked specifically at our central pancreatectomy cohort and compared them to the alternative, which would be distal pancreatectomy, and found a lower incidence of diabetes. However, these analyses also include patients with cystic neoplasms. So I can’t tell you for the specific histology of pancreatic neuroendocrine tumors that that holds true, but the best I can do is to extrapolate from the procedure-specific studies. It’s been our approach to resect small neuroendocrine neoplasms. I don’t know if you were asking what type of resection we would do, enucleation or Whipple. I think it would depend on the anatomy, how close it was to the pancreatic duct, whether I was concerned about a fistula or maybe disconnecting the pancreas. But if it was well away from the pancreatic duct, I think I would offer the patient an enucleation. If it was near the pancreatic duct, I probably would offer the patient a pancreaticoduodenectomy. One could argue that something as small as that and as indolent as that could be watched. But I don’t think we have ample evidence to support observation, and it’s a hard sell to the patient to tell them that they have a pancreatic neoplasm and we’re going to leave it alone and watch it. We are gaining a knowledge about the natural history of these, but I don’t think we are at the point of being comfortable with observation, so at this point I would resect. Dr. Henry Pitt (Indianapolis, IN): Historically, when the morbidity and mortality of Whipple and open distal pancreatectomy were significant, most experts recommended enucleation of neuroendocrine tumors. As mortality decreased, the pendulum swung toward resection. Currently, I believe that the pendulum should swing back toward more enucleations of small neuroendocrine tumors. You had 51 tumors that were 2 cm or less, but only five were enucleated. For lesions in the head and neck of the pancreas, enucleation may be more appropriate because of decreased morbidity and comparable survival. An analysis published this past year by Susan Pitt came to this conclusion. What are your current policies with respect to enucleation? Dr. John Allendorf: I’m familiar with your paper. Our institutional bias has been to try to avoid pancreatic fistulas. However, based on the work that you have done and the Barcelona group, even though with enucleation there’s a higher fistula rate, the fistulas tend to be more easily controlled and of a lower grade. And so, going forward, it is important to consider the long-term effects that we are perpetrating upon our patients as far as endocrine and exocrine insufficiency. Many of these patients are going to live for a long time, and very few of these patients die from these operations, so it’s not just the perioperative complication rate but the long-term complications or sequelae of doing pancreatic resections that become important. So although our bias has been to resect small neuroendocrine neoplasms and to avoid pancreatic fistula, I think going ahead in the future we are going to give more consideration to enucleation.